Beebay presents cap sleeves frock for your little diva. 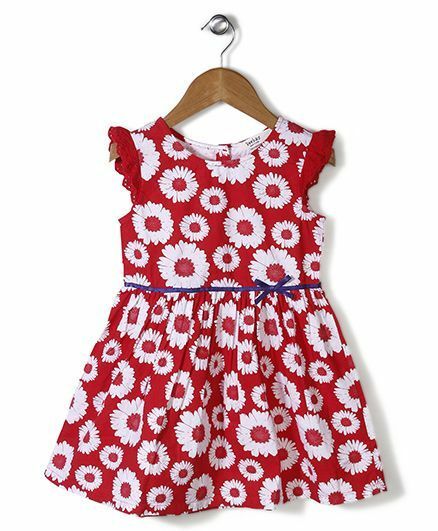 Beautifully designed with all over floral print with a thin ribbon bow, which gives this frock a stylish and cute look. The net detailing in the sleeves adds an element of style to this frock. The over all color combination and attractive design adds an element of style and cuteness to this dress. Back button closure in pullover style helps for a proper fit. Styling Tip: Match this dress with sandals and hair accessories for a cute look.